Both speech and language use form critical factors in any person’s personal development. It is estimates that roughly two and a half million people suffer with speech and language problems within the UK alone. A large proportion of people with learning disabilities have difficulties with speech and language. In fact, 5% of children begin their education with some form of speech and language impairment. This can range from a common stutter, to complex communication and interaction difficulties resulting from Autism. For all of these children, weak communication abilities can often prove to be a substantial obstacle at such a critical time in their educational development. Although speech and language problems are commonly associates with young children, it should be noted that this is by far and away not always the case. They may not develop until later life, and for a variety of different reasons. For example, roughly 30% of people that have suffered from a stroke find they have difficulties with some aspect of speech and language due to neurological damage. Such difficulties may also develop after an accident, which has caused some form of physical problem. Hearing problems can also result in both speech and language difficulties. It is the job of the Speech and Language Therapist to assist people with these problems and help make living their lives easier. In many cases, the primary concern of a Speech and Language Therapist will be to rehabilitate sufferers. The therapist will work closely with a range of different people and professionals in order to make sound judgement upon the best course of action. In this respect a large proportion of the Speech and Language Therapist’s role is to construct formal written assessments based on specific case studies. These can then be used to implement the most effective course of therapy possible. Naturally, a lot of this work involves liaising with medical professionals such as doctors, nurses and psychologists. But it is also common for teachers, carers and family members to play an important role, especially where children are concerned. For this reason, it is essential that a Speech and Language Therapist is comfortable working in a highly structured team, as well as independently. Speech and Language Therapists have to be able to utilise and apply a broad range of skills developed during their training. An analytical mind is useful, as therapists deal with a multitude of different cases that may not be closely related in terms of their requirements. For example, therapists may sometimes not be dealing directly with speech and language problems at all. 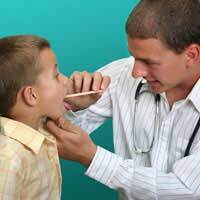 Instead they may be required to treat people that suffer from physical problems relating to the throat area or mouth. Chewing and swallowing problems may be so pronounced that they can inhibit the ability to eat. It is possible that a Speech and Language Therapist may be able to use learnt techniques to improve the situation for the sufferer. The most common route into speech and language therapy is via higher education. Speech and language therapy degrees commonly last three to four years, and should be accredited by the Royal College of Speech and Language Therapists. Once qualified, it is common for Speech and Language Therapists to start work at an NHS practice. During the first year of work, therapists are exposed to a broad range of cases, to develop and hone their skills. After this initial period of employment, therapists may choose to specialise in a particular aspect of speech and language therapy. Some even opt for positions of research and development.